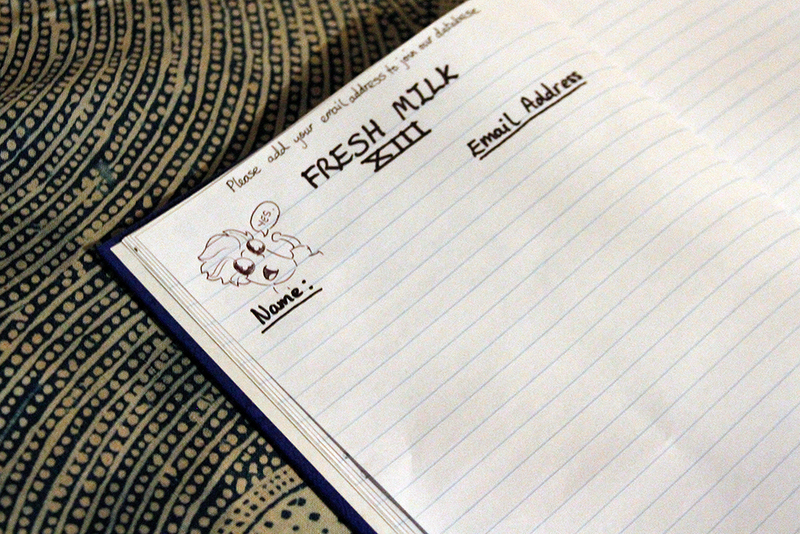 Art historian and writer Jessica Taylor reviews Fresh Milk’s last event, FRESH MILK XIII, which took place October 24, 2013 at The Milking Parlour Studio. The Fresh Milk Art Platform Inc. continues to provide a space for contemporary artists to develop projects and exchange ideas in a creative and engaging environment, as evidenced by the most recent public event Fresh Milk XIII, which was held at the Fresh Milk site on October 24th 2013. While outlining a number of projects that have been ongoing at Fresh Milk, the event included a screening of a full-length documentary made by resident-artist damali abrams. damali, a New York-based Guyanese performance artist, showcased a documentary that she had produced during her joint residency at Fresh Milk and Groundation Grenada for the month of October 2013 as part of The Fresh Performance Project. The documentary featured footage from interviews that she had conducted with six Caribbean-based and six New York-based performance artists over a six-month period prior to beginning her on-site residency. Entitled Fresh Performance: Contemporary Performance Art in New York City and the Caribbean, damali’s documentary is less about the specific performance works of the twelve artists that she interviewed but is instead more about the artists’ conceptions of performance art as a practice within the context of their work. In the first few minutes of the film we are introduced to differing considerations of what performance art is from the twelve artists, which for the viewer emphasizes the interpretive nature of performance art and its malleability as an art form. damali has paired the video interviews with still images of the live performances of each artist, which creates an intriguing juxtaposition of interview as performance, and performance as documentary. The role of documentation in performance art is fairly ambiguous given that some artists have denied any documentation of their work (claiming that it shall not exist outside of the moment of its performance) and others rely on documentation to preserve their performance (normally for exhibition purposes). damali complicates this ambiguity even further by turning an act of documentation into a performance itself. For her, the documentary is as much a performance as the works that we see in the still images shown in the documentary. The result of this is that as viewers, we are experiencing the binary of watching a live performance art piece by one artist in which she interviews other artists about their practice and calls on them to recollect past performances. This play with documentation and temporality demonstrates that performance can be something direct but not necessarily something that is easily understood by the public. Despite the drastic differences amongst the various pieces discussed, several common threads surfaced throughout the interviews, such as the importance of the audience, the role of spontaneity and interaction, and an appreciation of the unpredictable nature of performance art. This overarching notion of the role of the public sparks many questions for me. Can we have cross-cultural notions of performance art? Does a Barbadian audience approach damali’s work differently than a New York audience? Given that all of the artists interviewed deal with issues of identity, how do their audiences inform and interpret these issues based on their geographical location? Of course these questions remain unanswered, but I believe that is exactly what damali is trying to show us. Ultimately, damali is offering these artists a chance to both explore and explain what performance art means to them, while forcing her audience to ask themselves the same questions. Her exploration of the medium through the words of these twelve artists initiates a much-needed discussion of the role that performance art has to play in the Caribbean, and simultaneously links it to performance art in New York. The connections that damali is making between the Caribbean and New York through the dialogue that she maintains with the twelve artists are unique, given that performance art is practiced by such a small number of Caribbean artists. Perhaps the most telling sign of this was not only in the words of the Caribbean artists on the screen, but even more so in the responses given by the audience members attending Fresh Event XIII. After the screening damali was met with questions from young art students who had either never heard of performance art or had never considered it in great detail, but who will now hopefully perpetuate this important discussion. In addition to damali’s documentary, there was also a screening of Project 35: Volume 2, which is a travelling exhibition produced by Independent Curators International (ICI) and included a piece by Bahamian artist Heino Schmid, selected by Trinidadian artist and curator Christopher Cozier. Subsequently the director of Fresh Milk, Annalee Davis, took to the floor to present to the audience a series of other projects that had been in the works at Fresh Milk over the past few months. The first of these was the Fresh Milk Artboard, which was erected at the bottom of the road leading to the Fresh Milk site as a new public gallery from which the work of contemporary artists will be showcased. The first work to be displayed on the Artboard was designed by Barbadian artist Evan Avery, who had also previously designed a graphic work to be installed in the front window of Casa Tomada’s ‘A Casa Recebe’ in Brazil, which exhibits the work of both local and international artists. The relationship between Fresh Milk and Casa Tomada is just one example of the cross-cultural exchange that Fresh Milk is encouraging and that we are beginning to see more and more in the arts of the region and further afield. In light of this, Annalee also presented the Fresh Milk Virtual Map of Caribbean Art Spaces. This resource is an online map indicating the existing art spaces across the region, which also includes links to the websites of these spaces. Working to circulate information regarding arts in the Caribbean, this map not only offers a regional view of how these spaces have manifested themselves across the Caribbean but will hopefully help to facilitate greater connectedness between these institutions. Finally, Annalee directed the audience’s attention to the addition of new publications to the Colleen Lewis Reading Room, located on the Fresh Milk site. Fresh Milk XIII, which marked the platform’s final public event for 2013, fittingly brought together several of the elements integral to Fresh Milk’s mission; regional and international collaboration, experiment and exchange, knowledge of the contemporary arts, and increased visibility of Caribbean art all came into play. Moving forward, it is imperative to find the best way to activate these resources that Fresh Milk has made available, and continue to nurture the relationships built with artists such as damali and institutions such as ICI. In this way Fresh Milk will continue to evolve not only as an organization, but as an entity facilitating change by inspiring new ways of thinking, reaching new audiences and stimulating the public’s sensibility as we move towards intellectual and creative growth. 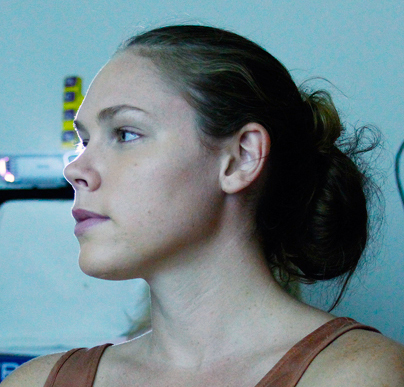 Jessica Taylor recently graduated from McGill University with an undergraduate degree in Art History and Philosophy and hopes to begin a graduate degree in Curatorial Studies in 2014. Her focus is contemporary Caribbean art.